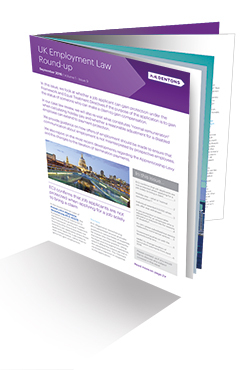 As you may have seen, People Management recently published an article on some of the big developments in employment law in 2017, particularly Brexit and the Taylor review. In the lead up to triggering Article 50, the government maintained that there would not be any change to workers' rights following Brexit, so it would be brave to take away key protections, many of which derive from UK law anyway. Other commentators suggested there may be reforms to TUPE, although agreed that it will stay, but perhaps in a slightly amended form. As for a new visa regime for workers, the outcome is unclear. The uncertainty has already caused many workers to leave at a time where we are beginning to see a shortage of labour. This has not been helped by the recent leaked Home Office post-Brexit Immigration Policy which has confirmed the fears of employers with respect to the future of EU workers in the UK. The case of CT PLUS (Yorkshire) CIC v. Black and ors looked at whether a change in bus service from subsidised to commercial venture could be a “service provision change” (SPC) within the scope of the Transfer of Undertakings (Protection of Employment) Regulations 2006 (TUPE). The EAT held that it was not an SPC as the new provider did not provide the service “on the Council’s behalf”, as required under TUPE. CT PLUS (Yorkshire) CIC (CTP), ran a subsidised park-and-ride bus service in Hull under a contract with the Council. Lincolnshire Road Car Ltd T/A Stagecoach (LRC) decided to run its own unsubsidised service on the same route. As the Council was not required to run a subsidised service in competition, the Council ended the contract with CTP. LRC used its own buses, took nothing from CTP and had no contract with the Council. LRC disagreed that TUPE obliged it to take on CTP’s drivers. LRC believed there was no transfer. The EAT had to decide who should compensate the stranded CTP employees. An employment tribunal judge reviewed the matter. He held LRC was running the service in its own interest and there was no SPC. He held LRC did not carry out the activities for the Council (“on the client’s behalf”) as TUPE requires. On appeal the EAT agreed with the employment tribunal judge that TUPE did not apply. The EAT did not feel the Council remained the “client” as LRC was running it as a commercial venture and ignored reservations raised by the Council (for example, in relation to changes to running times). These were important considerations for deciding whether there was a “client” for the purposes of TUPE or simply an “interested bystander”, as held here. In 12 April 2016, in our article “The Great Brexit Debate: Protection for Workers” we shared our views on the potential impact of Britain’s exit from the European Union. Following the referendum, we have a clear mandate for exit. However, there is much doubt about what the future may look like for the UK and our relationship with Europe. It is likely that there will now be a prolonged transition period with the next government needing time to plan, prepare and negotiate the UK’s future. 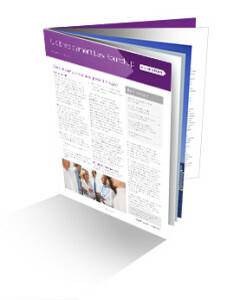 The UK has a body of homegrown legislation protecting UK employment law rights. The fundamental right to claim unfair dismissal will not be affected by the withdrawal from Europe. The UK also had discrimination laws in place before its ascension to the EU. EU aims and legislation are so established in our views of UK good employment practice that they are likely to remain fundamentally the same for now. Moving to a US-style system where employees receive lower overall protection is possible, but unlikely in the short term, given the broader cultural change needed to accept the US norms. Trade and investment are good for employment growth and stability. The government will want to keep a level playing field with the UK’s European counterparts to ensure that vital relationships are maintained at this crucial time. One key area where it will want to display its good practice is in data protection. Realistically a single market deal may also mean the UK continuing to be subject to key EU legislation. Subject to the above, eventually EU rights, or improvements of those rights, may reduce or end. We would not be surprised to see any reviews follow a similar format to the 2014 review of gold-plating of TUPE. Many will recall that in that case the government’s grand proposals were ultimately reduced to a few smaller, less significant changes. If the UK is not required to keep EU legislation in these areas as part of a broader deal, the government may review and make changes to the current position in a number of areas, such as: 1) harmonisation of terms following a TUPE transfer; 2) limits on bankers’ bonuses; 3) working time controls; 4) collective redundancy consultation; 5) agency workers’ rights; and 6) the absence of a cap on discrimination awards. If the UK is not subject to the jurisdiction of the European Court of Justice, we may see our case law develop in a slightly different direction. This may mean a gradual parting of ways. Imposing limits in the free movement of labour could make the UK a much less attractive destination for international businesses and skilled and educated migrants. On balance, it is most likely that a future government will want to preserve the status quo at least in the short term. It is likely to look for opportunities for more fundamental and valuable changes as the dust settles. We are, of course, coming increasingly close to 23 June – the date of the referendum on the UK’s continued membership of the European Union. Several employers have already made their views known on “Brexit” (as it seems now to be labelled) in national newspapers. Just last week the Chief Executive of Airbus took the unusual step of writing to the company’s 15,000 UK employees expressing his view that leaving the EU would impact on international investment in the UK and put jobs at risk. The TUC published its assessment of the potential impact of a “Brexit” on employment law in the UK (prepared by Michael Ford QC). Unsurprisingly, the TUC appears to be opposed to the UK’s exit from the EU because of the potential (perhaps likely) dilution of employment rights in the UK. It considers that the areas most likely to be subject to change in the future are the laws relating to: collective consultation; working time; TUPE; the Agency Workers Regulations; and some elements of discrimination legislation, particularly uncapped compensation and age discrimination. Michael Ford QC also points out that the protection of pregnant workers in the UK is derived from EU law. These are some of the areas that place the greatest burdens on employers in terms of dealing with their workforce and so some dilution (or removal) of these rights may come as welcome news to some employers. However, these protections are seen by many as important and fundamental employment safeguards. If there were no obligations to collectively consult then the 15,000 individuals employed by Tata Steel in the UK might be left without jobs on the closure of its sites with very little notice and limited compensation to reflect that. If there were no protection under TUPE, at least some of them would be likely to lose their jobs even if a buyer was found. A recent survey carried out by the BBC found that 31 % of employees in the UK feel that they have been discriminated against at work on the grounds of their age (be they young or old), and as many of 77 % of women reported negative experiences at work related to their pregnancy or maternity according to research released by BIS and the EHRC last month. For our comment on the impact of “Brexit” on UK employment law, please see here.